1. How likely is it that a foggy double pane RV window can be separated, cleaned, and re-built? The likelihood depends on how long they have been fogged and to what degree the glasses have become stained or etched. If your foggy RV windows can’t be cleaned, we can fabricate new dual pane windows for you at a fraction of the cost of replacing the entire window frame. 2. What about Low E (emissivity) coatings on the glass? We can recreate any glass unit specification. 3. What color tints are available for my RV windows? The most common color tints are grey and green. Bronze is also available. 4. 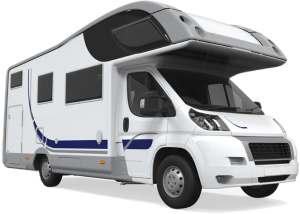 What is the average turnaround time for replacement RV windows? There are some RV windows that we can separate, clean and rebuild quickly, while fabricating new may take a few days longer. Call us and we can advise you better based on our current schedule. Visit our EBAY store for quick ship units. 5. 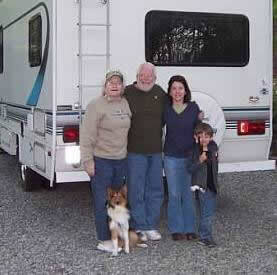 Do you replace RV front windshields? Yes, on some two piece glued units. Service only at our Greensboro, North Carolina location. 6. Do you fix windshield chips? We fix windshield chips at our location in Greensboro, North Carolina. 7. Do you fix mirrors and screens? 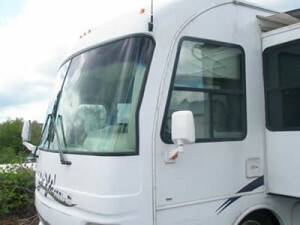 Yes, we repair RV window screens and side view mirrors. We also stock acrylic mirror. 8. Can you install Plexiglass on my screen door? Yes; we use polycarbonate, which is a little stronger than Plexiglass/acrylic. This service is available at our Greensboro, North Carolina location. 9. Regarding tracing my glass pattern & mailing it to you - what other information is needed? We need to know the thickness and the color of each piece of glass (i.e. one clear, one gray, etc). Any dimensions provided are also helpful. Emailing or texting a photo can also help! Visit our Pattern Library for more details. 10. Can I just send a photo of my RV window and give you the year, make, and model? Sometimes. We are constantly adding to our vast library of digitized glass patterns. There’s a good chance we have your specific pattern on file in our Pattern Library. We need glass dimensions to quote you. 11. How would I know if you have my unit as a pattern already? Check our EBAY store for our most common units. If you don’t see your unit please fill out the quote request form and we will reply to you after checking our pattern library. We list our common units on EBAY, please check our Pattern Library for a full list. 12. Can you fix RV windows with failed seals that have shrunk? Yes. RV window creepy seal syndrome is a common problem that we can fix. 13. Can you help file my insurance claim? Yes, if you call us with your policy information, we can initiate a 3-way call with you and your insurance company. 14. Do you fix RV shower doors? 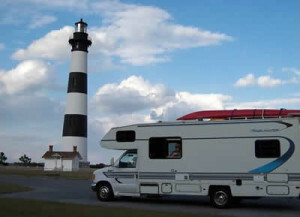 Yes, we fix RV shower doors at our Greensboro, North Carolina location. 15. Can you replace existing RV window blinds with new ones? Yes, we can install your new blinds and window treatments at our Greensboro shop.